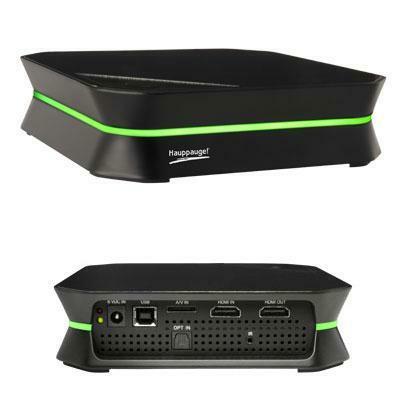 HD PVR 2 Gaming Edition Plus is a high definition (HD) video recorder for Game Consoles using HDMI or component technology. Record in HD to your Mac or PC and upload your best game play to YouTube. Now includes AC3 digital audio (SPDIF) with 5.1 Surround Sound. Includes HDMI in and out plus no-delay pass through! It Records video in a high definition H.264 Blu-ray compatible format to your PC from the Xbox360 using HDMI or from the PS3 using Component Video. Includes HDMI and component cables. The HD PVR 2 Gaming Edition Plus records at video resolutions up to 1080i in real time using a built-in hardware H.264 encoder. Compatible with Windows XP using Service Pack 3 Windows Vista and Windows 7 and 8. Compatible with Mac OSX 10.7 / 10.8 Intel 32/64bit only. New! The new easy to use Hauppauge Capture application. Record edit upload and stream your gameplay! A free download from http://www.hauppauge.com/capture.